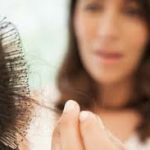 Our interesting client story we are sharing with you Hair Loss Treatment Sydney – Success with Iron Deficiency, is by Absolique Trichologist Sydney. We hope to help with anyone who is struggling with an iron deficiency because for those who aren’t aware an iron deficiency can cause hair loss and if this problem continues so will the hair loss. Seeing this hair loss is your body’s way of telling you something isn’t right. Having been diagnosed with low iron or an iron deficiency you should be recommended an iron supplement by your practicing healthcare professional and taken as per their instruction and correct dosage. This story is about one of our clients who currently had an iron deficiency with a low iron history. The client has a lot of hair and no one was aware of the gradual hair thinning as well as hair loss but this client definitely noticed the changes going on. With all of my years as an experienced Trichologist seeing these low iron levels on top of the current hair loss, I understand the importance of supporting iron levels with the right dosage, correct iron supplement and the right environment in the body to be properly absorbed as well as healthy supporting nutrition. Iron supplements alone will not be enough to raise iron levels and keep it from dropping below levels we see as a healthy environment to regrow hair. Nutrition to support iron and ferritin are not one dimensional, there is a very important cellular support required. To help support the hair cycle and the hair cell we used a combination treatment of topical and nutrition, to help raise iron levels and stabilise the hair loss. At Absolique Sydney our combination therapy hair loss treatments address all causes and symptoms together, at the same time for the most benefit. Our individual four-month hair loss treatment plans are created for all and every need like with this Iron deficiency case. We also take into consideration all other health and lifestyle reasons why you may not be absorbing your iron through food or supplements. After the first four months of hair loss treatment were completed, we then checked in, doing digital and microscopic comparisons as well as looking at blood test results that had been done just prior to appointment. The Iron levels were still not at the level where we would say hair loss could be avoided nor the level we at Absolique understand hair regrowth are achieved. With the comparisons we could see hair growth, which is very unusual because the bodies iron levels were still on the lower end. By supporting the hair cell, hair cycle topically, nutritionally and our body able to absorb the supplements in an alkaline environment we have taken positive steps forward while we continue to work on our nutrition and Iron levels. At any stage during this process our client can rely on us to support and guide them through any difficulties or queries while hair stability is maintained. Please reach out and email Absolique Trichologist Sydney to share your hair loss story and with any questions about Hair Loss Treatment Sydney – Success with Iron Deficiency, info@absolique.com.au or phone Absolique Sydney reception team for information about how we can help you stop the cycle of hair loss with correct diagnosis 02 8014 6916.